I was told the brake drums are too big for a standard bug but it might be from a bus? I need a new axle but not sure what to oredr. this is another view of the rear end. if other pics would help let me know. Looks to me like a 66 pan with an IRS conversion. Some pictures of the pivot clips might help. Not to sound stupid but would that be the trailing arm pivot point? yepp. that's the one. every 69 and up car (IRS from the factory) that i've ever seen, there are no holes in the upper shock mount like the pictures you've shown. Someone else correct me if i'm wrong but that's how everyone looks that i've ever seen. Ok I will get a better pic of it tomorrow. 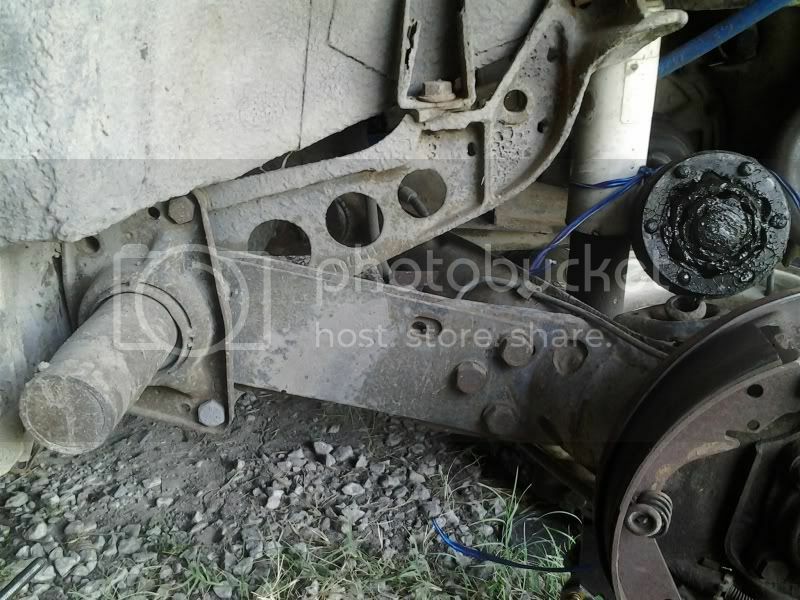 if you look in the pic I am trying to get the rear axle out, the spacer between the bearings is stuck to the axle. If I need a new one, one from a 66 wont work because this is an IRS and in 66 they were swing axles. Right? correct. 69 and up, IRS. the piece you are trying to get out is actually the "stub axle". it actually has a bit of a press fit, so some slight "love" with a hammer may be necessary. i'd use a piece of wood or something so you don't mushroom or ruin the threads on the stub axle. there is actually a puller made for doing this, but the hammer method has always worked just fine for me. Ya I'm way past the "little love " part. If I had a torch I would be on the road today!! I split a lot of 2x4's trying not to bugger the threads. So I put the nut on it and beat the living tar out of it! Ya I know it was wrong to do but Dang! The nut mushroomed to the point the 1 7/16 socket wont fit anymore. I will get more pics. Ok, this is the pivot clip/mount. Unless my grandfathers uncle was a crappy welder this was replaced (back in the day I had a few relatives that worked in the VW factory). This is the whole drivers side. I was told the brake drums were maybe from a bus? 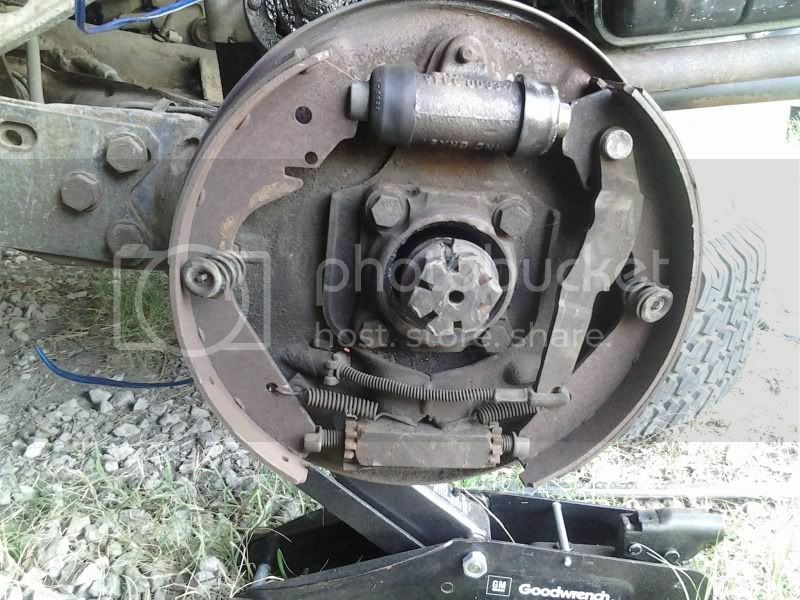 I need to replace the bearings and brake shoes but I don’t know what to get. Anything that is 69 and newer? the pivot wasn't actually replaced, it was added in. So your 66 pan that originally was a swing axle has been converted to late model IRS. i'm not positive on the brakes but they could actually be Type 3 brakes which are bigger than Type 1. Look up the part number on the wheel cylinder and compare it to what it might be. - The 111 ... number on the tower is the part number of the tower forging. And YES, They are forged. many people call them castings, but they are definitely forged. They can be welded on, no issues, MIG, Flux Core, Stick Arc, etc. - The IRS pivot brackets are aftermarket, not VW. 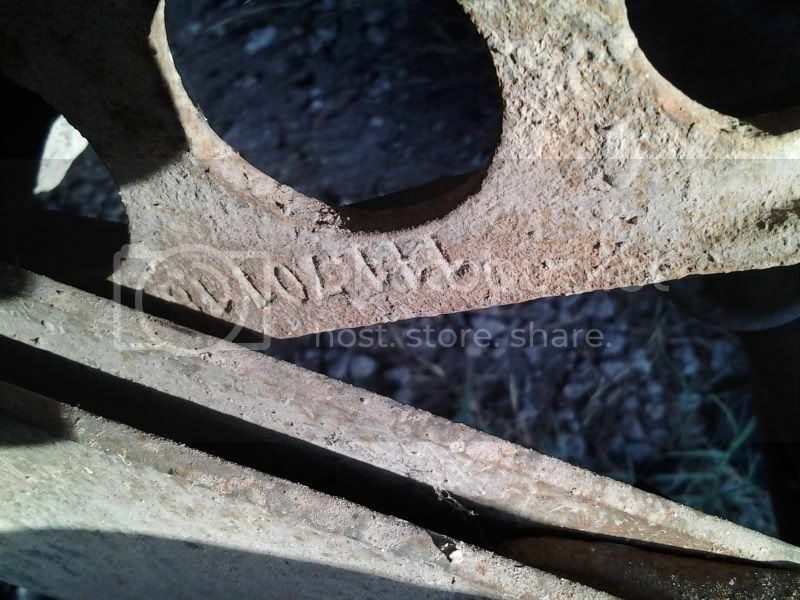 they were welded on by some individual in the 1980s or later. 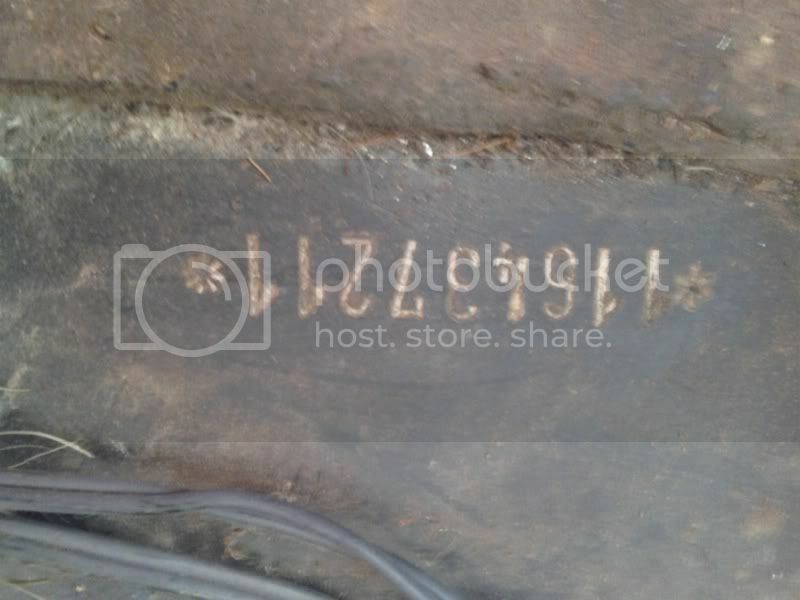 - The brakes appear to be VW Type 3. If the drums are 5-lug, the brakes are 1967 or earlier T3. 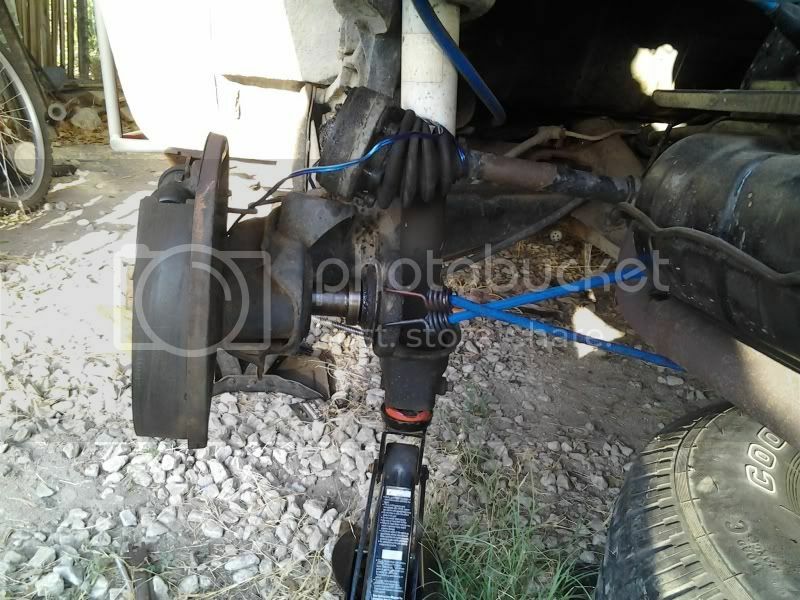 Get brake parts for a T3. 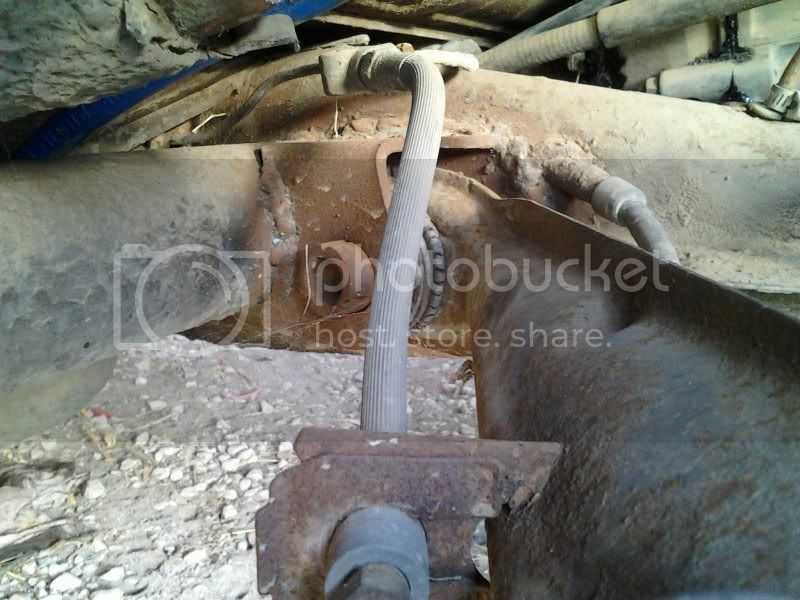 - The stub axles appear to be stock Type 1, 1969 or newer. - The nut needed to have come off the axle before you pounded the nut permanently onto the axle It will only get tougher now. You may have to knock it back towards the outside and cut the end off inboard of the nut. I knew i should have come here first, yall gave me more info in such a short time than anyplace else. MojaveRacer208 - the drums are 4 lug. i did get the nut off with a drill and a good cold chistle. JWHracing - "Look up the part number on the wheel cylinder "
im not sure of the location of this number. is it stammped some place? "Look up the part number on the wheel cylinder "
There is a number cast in the upper side of the wheel cylinder shown here. It would have matched the original parts list, but may not match modern lists 45 years later. They may have been replaced somewhere along the line. I would expect the number to start with "311". Two factors important in swapping VW wheel cylinders around is the working length from the bottom of the saddle for the shoe on one end of the cylinder to the same point on the other end, and the offset dimension from the centerline of the cylinder to the face of the shoulder for the backing plate. And there is a spreader bar for the parking brake and the return spring which goes with it missing in this brake assembly. The "nails" for the shoe retainer springs are bent, maybe from the other pieces not being there. So did you get the axle out? Another tip if your going to bang the tar out of somthing like this flip the nut around so you bang on the flat and do not turn the all the way down so you do not smash up your stub axle. The castle of the nut shater and chunks could fly. so hope you have somthing on over your eyes. Damn! Turn the nut around! Well I finaly got the axle out. The inner race of the outer bearing galled on the shaft. Took it to work put it on the lathe cleaned up the galled spots and fixed the threads and now its good to go. I just want to say THANKS guys for all yalls help and information!! VW Volkswagen & Baja Bug General Discussion Shock Towers new picks!